We offer our guests the ability to stay in the area’s finest carriage houses, apartments, historic homes and estates, whether it is for two nights or two months. We offer all the amenities of a hotel, but with the privacy and convenience of a local home. Stay is very selective of the properties we choose to manage, so that we can surpass your expectations. Reserve a property now online or call 434-977-0442 to get started. We want to help you experience Charlottesville and the surrounding areas like a local and can help you plan your trip to our area, including the services below. Whether you are arriving or departing at CHO, RIC, or IAD, you will get the best private airport transportation pricing around through your Stay Charlottesville representative. Offering free pickup from Wintergreen and the Downtown Mall, Monticello Wine Tours offers private wine tours along the Monticello Wine Trail. OMH is the perfect venue for everything from corporate lunches and meetings to rehearsal dinners and intimate weddings, located conveniently on Charlottesville’s downtown mall. 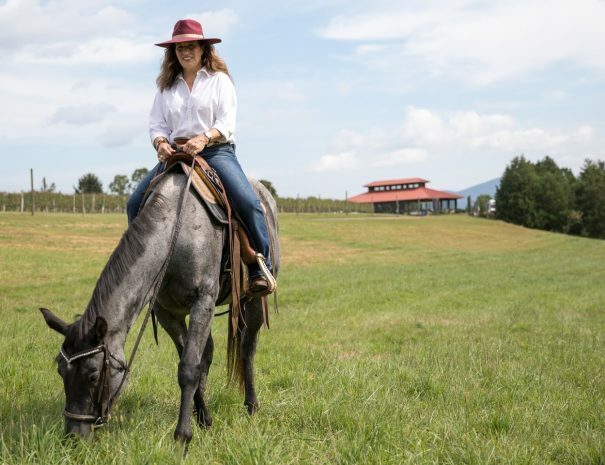 Rebel's Run offers scenic horseback trail rides through beautiful Afton Mountain Vineyards with a short break for tastings, as well as riding lessons for adults and children. For a list of other services we can arrange for you, please visit our Guest Services page.